The police department in Newton New Jersey is now equipping each officer with a "BodyVision" camera. Image provided. NEWTON, NJ – The Newton Police Department will begin using body-worn cameras today. Funding for purchase of this new equipment was sought by Chief Michael Richards and approved by the Newton Town Council in the 2015 capital budget. After an extensive review of various manufacturers, L3 Mobile-Vision’s “BodyVision” cameras were selected by the department. The cameras cost approximately $1200 each, which incorporates costs for increasing our data storage capacity and installing related equipment. The new body-worn cameras integrate with our current patrol car video recording system, which is also a product of L3 Mobile-Vision. This helped reduce the expense of deploying this new technology. 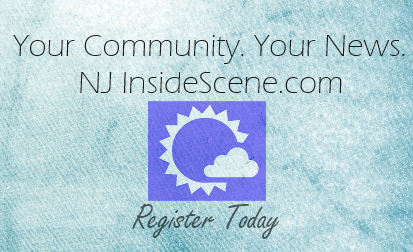 The department also received a $4,245.83 grant from the Town’s insurer, the Statewide Insurance Fund, to offset costs, and the department also applied for and received $11,000 from the New Jersey Department of Law and Public Safety Body-Worn Camera Assistance Program. Every Officer in the department, a total of 25 which includes our three Class II Special Law Enforcement Officers, has been assigned their own camera and each of the cameras’ recordings will be identified as belonging to the Officer so assigned. The body-worn cameras will be worn by all uniformed Officers responsible for performing patrol duties. Generally, video and audio recording will be activated when responding to an emergency or other call for service as well as during Officer initiated enforcement activities. All Officers have received training in procedures that are consistent with the directive of the New Jersey Attorney General, which promotes uniformity and best practices in using the devices. The cameras do not deploy any special audio or video capabilities. They do not see or hear any more than an Officer can. Designed to be mounted to each Officer’s uniform in the area of their chest, the devices will significantly improve an Officer’s ability to document evidence and statements made during an emergency, a call for service or a criminal investigation. 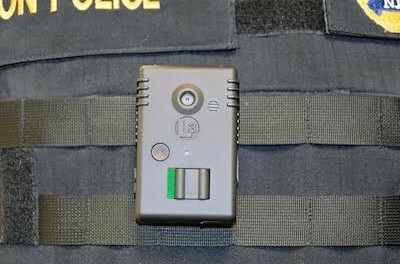 A photo of the body-worn camera as worn by an Officer has been posted to our website www.newtonpolice.org and is included with this announcement. Since the Department began using in-car cameras in patrol cars in 1999, Officers have become accustomed to their use and they have proven to be indispensable as evidence. The use of body-worn cameras will prove particularly valuable for Officers who are on foot patrol or bike patrol, who in the past were unable to benefit from recording units only installed in patrol cars. Patrol car recording systems are also limited to audio only up to a certain distance from the vehicle, which often times was insufficient once an Officer is inside a building. Deploying body-worn cameras represents the Police Department’s commitment to utilize best practices and the latest technology, most cost effectively, to improve police services. It is also expected to help improve Officer training and performance. Where body-worn cameras have been used elsewhere, they have also shown to prevent, reduce and more quickly resolve citizen complaints. This will help maintain our outstanding relationship with those we serve, help strengthen our accountability and continue to build public trust.